The Sleeping King cover art was created by Zoe Nikitaki, a visual artist, illustrator, storyteller, writer, and psychodynamic color practitioner & therapist. Zoe lives and creates in Athens, Greece. Her grandmother and all the women of her family were storytellers. 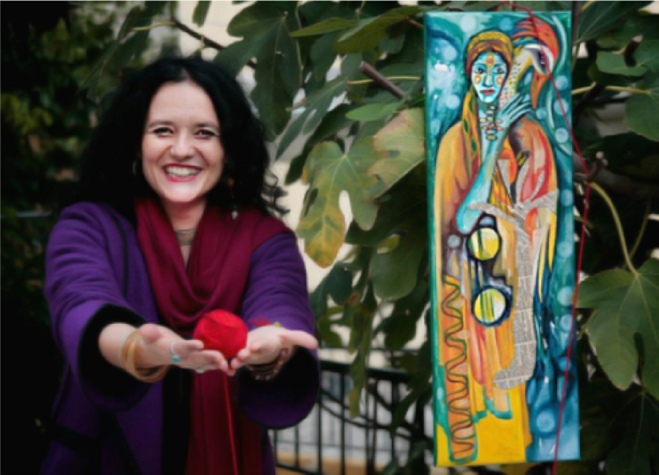 She narrates stories from the written and oral tradition of Greece, as well as stories from other cultures, working in museums, schools, galleries, hospitals, on radio and television, and at festivals and conferences. Zoe loves fairy tales because she says they’re like birds – only children and the pure of heart can hear them.